A landing page is usually the first page that visitors “land on” when visiting your e-commerce site. By the essence of the word, a landing page can be any page as long as it’s the first page landed on. And yet, they are not that. They are something much more complicated yet simpler than that. And in its simplicity, it has become one of the most important tools that should be part of the marketer’s arsenal. Landing pages refer to any standalone web page that consumers land on upon visiting your store’s website. They are pages that are distinct from your home page or any other web page. They serve a single focused purpose – to guide your audience further along your sales funnel. Specifically, they exist to convert your audience into paying customers. But any web page can actually do that. To be more precise, a landing page is a specialized web page. These pages contain 1) a lead-conversion form that 2) exists only to capture information from your visitors. Essentially, a landing page allows you to make a special offer to your visitors in exchange for their contact information. Landing pages are effective, powerful lead conversion tools. These tools focus all of your efforts – building a website, marketing through social media – so they translate into sales. They provide a great opportunity to boost conversions and build your customers. Landing pages direct your customers to your products or offers and encourage them to take action. They allow you to make offers. 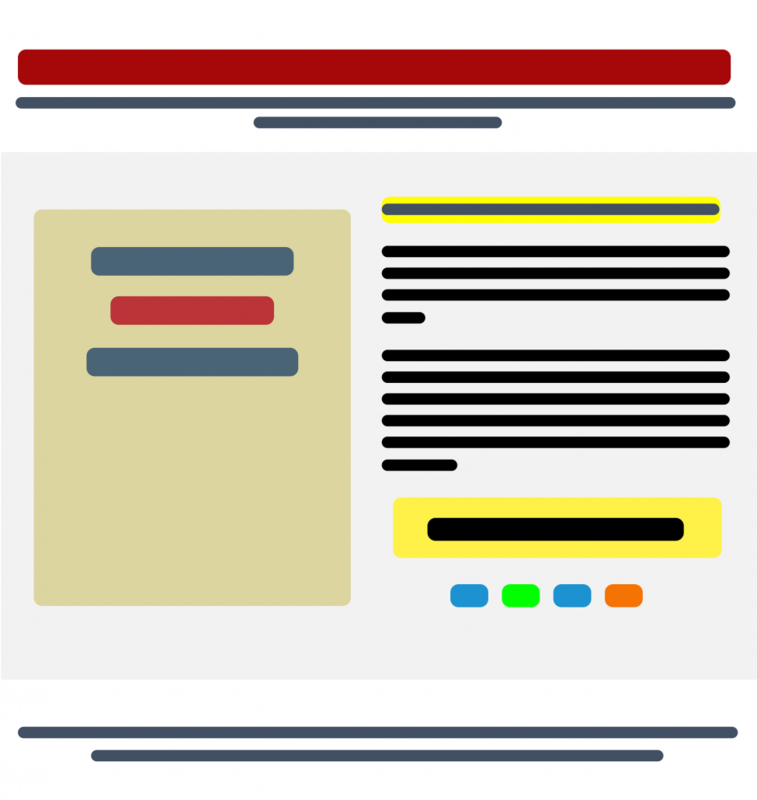 As stated above, landing pages contain any special offering you want to offer to your customers. Usually, these offers begin with a Google or Facebook ad. The offer then continues on the landing page as prospects visit your site. The offer is presented in a simpler, clearer manner as opposed to convolutedly-designed web pages. They are designed to convert. Landing pages are creatively designed with simplicity, relevance, and focus. These qualities are required to ensure the attention of your prospects remain solely on the value you deliver. They exist regardless of your platform. Different frameworks have varying functionalities and will allow/disallow features made available on others. In contrast, landing pages are built independently and they exist outside your website’s framework. So regardless of the framework, you can create and make changes to your landing page and connect it with your website without making any changes to it. Your email marketing service provider such as Drip or MailChimp. Landing page builders like DragDropr. Instant messaging platforms such as Intercom or Livechat. They are not very functional. Unlike a typical web page, landing pages limit your visitor’s ability to navigate to other web pages. They lack various elements such as navigation menus, links, or social buttons. This way, your customers have limited options. Aside from the many qualities of a landing page, there are many reasons more why you should have a landing page for your e-commerce store. Here are more reasons why you should add landing pages to your marketing and lead generation efforts. Many e-commerce stores redirect their traffic to their homepage. This is a big waste of your email, social media, and SEO efforts as it would be the equivalent of throwing your leads away. Instead, by using landing pages, you can capture all valuable traffic and nurture them into leads. They provide a very easy way to generate leads for your sales team that they can easily segment, nurture, or distribute to your sales team. Your marketing efforts and lead capture tools always work together to generate more business for you. Through your marketing efforts, you generate traffic and lead them directly to your store. Lead capture tools allow you to harness the traffic generated by asking for something in return. In this case, the payment that you ask is their contact information. As mentioned above, you acquire contact information using lead pages as a lead capture tool. Each time your audience fills up the form, you collect valuable information that you can pass on to your sales and marketing team. This information allows you to understand your visitors. Additionally, this allows you to understand the demographics of those who make frequent purchases. With landing pages, you not only generate new leads but also track the conversions and reconversions of existing leads. Prospects that make multiple purchases can be easily identified to see which ones are more engaged with your business. Identification of these prospects enables you to collect better intelligence on their behaviors and activities. This provides valuable insight that your sales team can use to improve their efforts. Marketing strategies rely heavily on content to be effective. Landing pages offer a great addition to any inbound marketing strategy. They integrate easily as extra content into various platforms. They can be linked on social media, used as the target of email marketing campaigns, be linked to in PPC ads, or optimized for organized search. As previously stated, landing pages are created for simplicity and focus. They are free from any distractions so visitors act according to your call-to-action and not have to figure out what it is you want them to do. The landing page makes it clear that you want them to sign up, purchase, or contact you. When faced with many options, your visitors tend to have difficulty making a choice. More often than not, they end up not making a decision at all, which doesn’t help your business. But landing pages limit distractions and options for navigation. As you limit the number of options, you force your visitors to take action. The decision they make will all be according to your call-to-action. Various data sets are available to you so you can optimize your landing page. 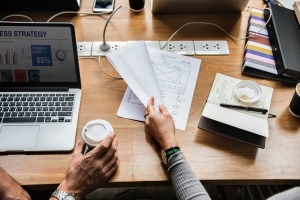 By tracking and analyzing the metrics associated with your landing pages, you gain insight into the effectiveness of your marketing and sales efforts. This gives you powerful insight into which efforts are helping you generate sales so you can optimize and improve your strategy. When it comes to generating sales for your ecommerce business, landing pages can get the job done. They speak directly to your prospects and communicate your message in an effective manner. Not only that, with various templates and an easy interface, DragDropr offers you endless options for creating effective landing pages so you can generate more sales from qualified leads.